As MC, Dr Phil Dooley makes sure the crowd is warmed up and appreciative - add beer, you can't go wrong! Prove that science ain't boring, researchers are humans, and Friday nights in Melbourne are crackingly intelligent fun. Share this through Facebook or tweet @philuponscience. 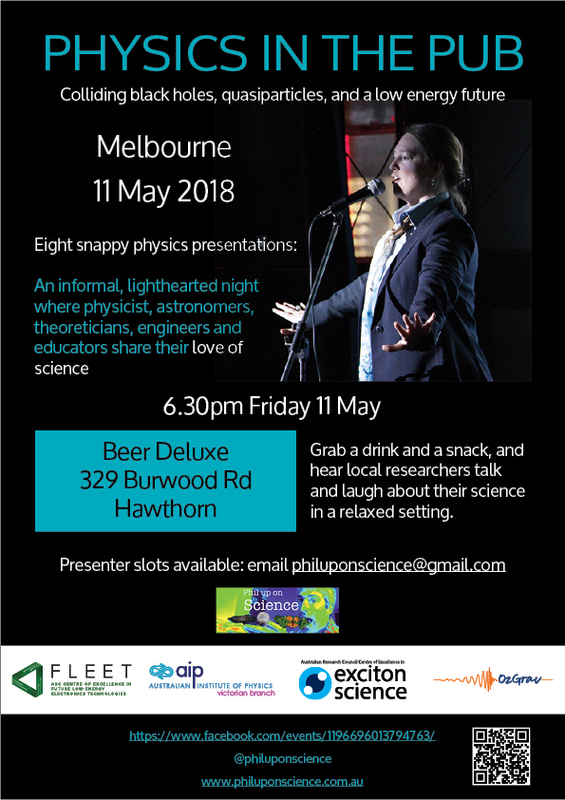 * Sponsored by the Victorian branch of the Australian Institute of Physics, the ARC Centre of Excellence in Exciton Science, the ARC Centre of Excellence in Gravitational Waves Discovery, and FLEET.